Now an Annual Event and another sold out success! Raised funds to provide a boost for local Surrey groups: Surrey Food Bank, Surrey Christmas Bureau, Fraser Regional Aboriginal Friendship Centre and Team Keian (Blundell Family helping those affected by childhood cancer). If you are interested in getting involved in our events or Inspire 2018 planned for November 2018, please CONTACT US. The TEAM at Triton Law (Surrey BC) are committed in giving-back to their local community. In August 2017 Trition Law invited SEMO's Army to participate for the 2nd year event and pledged all raised funds towards our INSPIRE 2017 campaign. The tournament was a success and raised $6015 in proceeds. Thank you to the caring team at Triton Law LLP for all that they do! A new all-time record of over $150,000 raised! With the original goal of raising over $100,000 in just ONE hour like years past, the team at Surrey Food Bank achieved their best fundraising success to date. We are thrilled to be a part of this great event and invite you to join forces with us for 2018. Money raised will support food programs into the Fall/Winter Season as many forget about food banks during the Spring/Summer months. Together we can ensure food supplies for local Surrey families. We hit the streets to distribute clothes and food in Downtown, Hastings Street. This was a multi-group collaboration made possible by Guru Angad Dev Elementary School, Triton Law and our own SEMO's Army members. The students at the school collected over 600 clothing items and most impressive contribution from the children was they learned how to make toques for this effort. What great lesson to share with young minds! We THANK & CONGRATULATE these groups who care for their local community and for calling upon us to join the effort. We look forward to future partnerships and providing a small boost for individuals who were so very kind and thankful throughout the day. Their words INSPIRE us to do even more. A sold out event that broke records and as a result SEMO foundation was able to donate more money and supplies than any year on record. We couldn't have done it without the support of the local public purchasing tickets, Corporate Sponsors, friends, family and all of those that volunteered their services and time to put on this Gala Event. What's that all mean?! That means we now have to make INSPIRE 2017 even BIGGER - Stay tuned as we plan to do it again in November 2017! Checkout the video coverage from INSPIRE 2016 - courtesy of Close Look TV Show as a part of their iSupport segment. 1st Annual Ball Hockey Tournament and what was a SUCCESS it was! A day of fun, prizes and competition, all in an effort to support local charities groups via SEMO foundation. 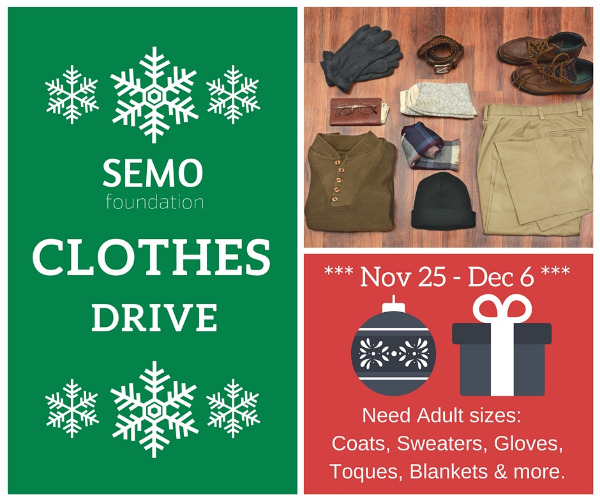 The team @ TRITON Law has confirmed their partnership with SEMO foundation to run it again in Summer 2017. All net proceeds will be presented to SEMO foundation at the INSPIRE 2017 fundraiser event. We are happy to have TRITON Law on our side! Annual Event to fund food bank programs through the Summer months. Goal ACHIEVED by breaking $100k in donations! We are proud to be a part of this Annual Event as the the Surrey Food Bank is truly "Making an IMPACT" in our local community. Partnering with The Surrey Christmas Bureau and in support of the students at Kwantlen Park Secondary. An evening for the entire family to enjoy local entertainment, food vendors, a silent auction and other exciting prizes and draws. Proceeds to benefit BC Cancer Foundation and SEMO Foundation. A memorable night hosted by No Boundaries No Limits - A night to honour and remember those who we have lost to cancer, to those who are currently battling cancer, and to those who have survived cancer.